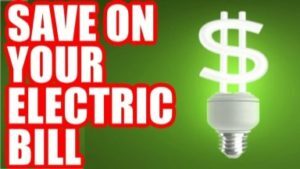 LOS ANGELES – Local residents may be able to lower their electricity bill by taking part in money-saving programs at Southern California Edison, the company announced this week. SCE does not inquire about the citizenship or legal status of customers in the provision of services, does not share customer information with outside groups or agencies without consent and does not require proof of residency for customers to participate in customer assistance programs. In partnership with the United Way of Greater Los Angeles, SCE’s nonprofit Energy Assistance Fund program, funded by customers and SCE employees, provides up to $100 to help customers pay their SCE energy bills when they meet the program’s income qualifications. Assistance is available once during a 12-month period. Visit sce.com/eaf and click the “How to Get Assistance” link.